2018 Ford Ecosport S And Signature Editions Launched- Gets Sunroof and 1.0-litre EcoBoost Engine! 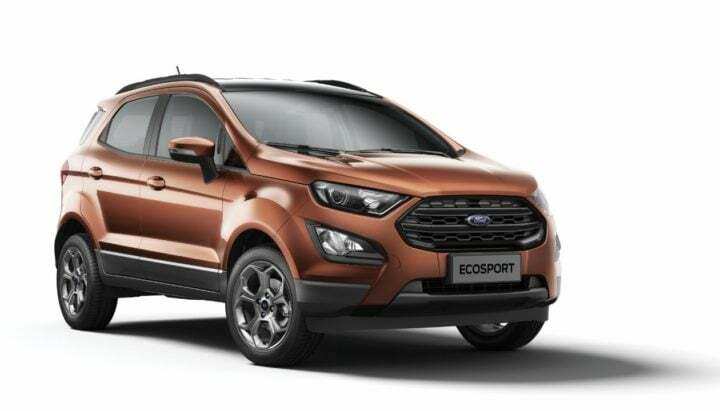 Ecosport gets 2 new variants – Ford Ecosport S and Signature – in its range. Recently some reports were leaked about both the cars. Both of the editions get new features and some cosmetic changes. Main additional elements in both the editions feature a new sunroof and the 1.0 Litre EcoBoost petrol engine. 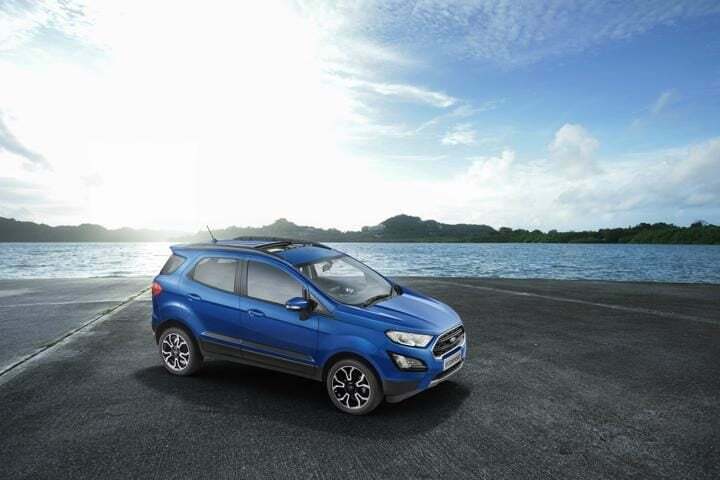 Ford India has launched Ford Ecosport S and Ecosport Signature editions. Ford places Ecosport S and Signature over the current top-end variant, Titanium +. Both the editions get some cosmetic changes as well as get some more features. Also, Ecosport’s famous 1.0 L Ecoboost petrol engine makes a comeback in the Ecosport S variant. Now, the 1.0 Litre Ecoboost petrol engine would have a 6-speed gearbox, instead of the earlier 5-speed gearbox. The Ecosport S also comes with its usual 1.5 L TDCI engine. Another big update noticed is a new sunroof and 6-speed automatic transmission on both the variants. Regarding safety, both the editions get dual airbags and ABS as standard fittings. 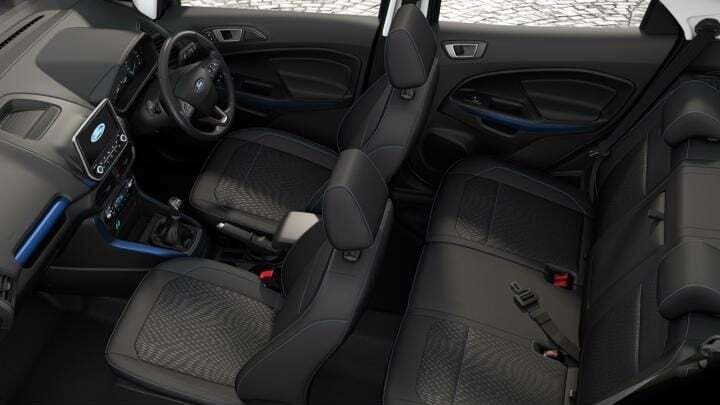 Ecosport S and Signature are available in petrol and diesel options. The petrol variant of Ecosport S costs Rs 10.40 Lakhs and the diesel variant costs Rs 10.99 Lakhs. The petrol variant of Ecosport Signature costs Rs 11.37 Lakhs and the diesel variant costs Rs 11.89 Lakhs. The Ford Ecosport Signature gets black-fog lamp bezel, all-around graphics, rear spoilers, 17-inch diamond cut alloy and roof rails on the exteriors. In the interior, it gets a sunroof, Ebony black interior with blue accents, centre console and a new instrument panel. Customers can opt to buy the Signature Edition as an option pack on the Titanium variant. The Signature edition gets the 1.5L three-cylinder TiVCT petrol engine that churns 122 BHP worth of power and 165 Nm worth of torque. It also comes with the usual 1.5 Litre TDCi diesel engine. The Ford Ecosport S gets the 1.0 Litre Ecoboost petrol engine, which Ford discontinued in the recent update of Ecosport. The 1.0 Litre Ecoboost engine produces 125 BHP worth of torque and 170 Nm worth of torque. Also, the Ecoboost engine comes with a 6-speed transmission, instead of the 5-speed gearbox. On the exterior, it gets a blacked-out grille, black painted roof & roof rails, 17-inch smoke alloys and darkened HID headlamps. 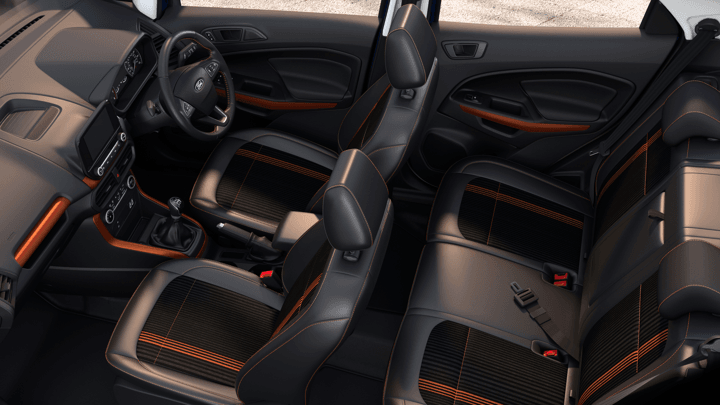 Other updates include a new sunroof, orange accents on the seats and a new 8-inch SYNC3 car connectivity system. It also gets a slightly tweaked instrument cluster with a 4.2-inch display with Tyre Pressure monitor. The Ecosport S variant also gets sport-tuning suspensions, for better ride quality. Ford swaps Titanium+’s 17-inch alloy wheels with new 16-inch alloys. Also, Ecosport S comes come with the Ecoboost engine and the usual 1.5 Litre TDCI engine as well. Another notable update that both the editions receive is the 6-speed Automatic Transmission with paddle-shifters, cruise control and hill launch assist. In terms of safety, it gets standard dual front airbags and ABS and 6 airbags in the top-end models. The current Ecosport comes with features such as Automatic headlamps, Push start-stop, Rear view camera, rain-sensing wipers, Traction Control and Projector headlamps with DRLs.